The Southmoor Park neighborhood, located just southeast of the intersection of Hampden Avenue and Monaco Parkway in southeast Denver and developed during the 1960’s and 1970’s combines the best of city conveniences and suburban life. Moderate- to large-size brick homes, the quiet, winding residential streets and scenic mountain views all speak to life in the suburbs, while excellent freeway access and proximity to major commercial districts along East Hampden Avenue and South Colorado Boulevard give a city feel. Residents of this small upscale community will soon enjoy a closer affiliation with the rest of the Denver Metropolitan area thanks to the arrival of a new light rail station. Southmoor Park real estate presents with spacious brick homes, built on large mature lots as the hallmark of residential life here. The streets are quiet and tree-lined in this warm, friendly community, well known for its manicured public parks. The first homes were built here in 1965, and a good deal of renovation has taken place in the Southmoor real estate district in recent years, bringing a more modern, more contemporary look to the neighborhood’s architecture. Properties in Southmoor Park are comprised of moderately priced homes on large lots. 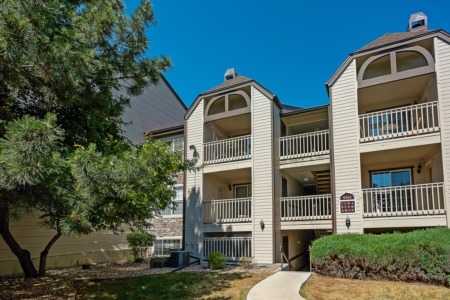 Residents in the Southmoor real estate district boast top-notched schools and quick access to the city center via major thruways, including Colorado Boulevard. The Southmoor Park East Homeowner’s Association sponsors a number of activities each year, including a neighborhood picnic, neighborhood garage sale, a concert by the Denver Municipal Band, and several other events. Southmoor Park real estate enjoys a central location when Denver is viewed as a whole. As a result, this area will serve as a connecting point in the highly anticipated RTD light rail system. A new light rail station in Southmoor will be built, connecting downtown Denver to the popular Park Meadows area farther south and to communities throughout the city. This addition will provide residents of Southmoor Park with a trouble-free access to the entire Denver Metropolitan area.